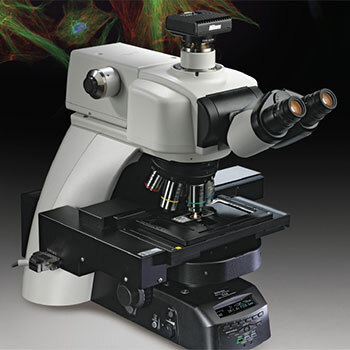 The Eclipse Ni-E upright research microscope incorporates a new modular design that allows precise system customization as well as easy expansion. With both CFI Plan Apochromat Lambda objectives with Nano Crystal Coat technology it gives you brighter, higher resolution images with higher transmission rates. Add enhanced widefield and spot laser illumination capabilities with motorized modular components, and you have a research microscope that can take on numerous applications.